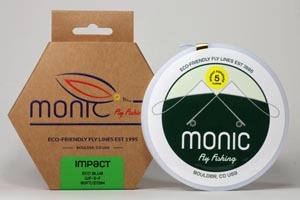 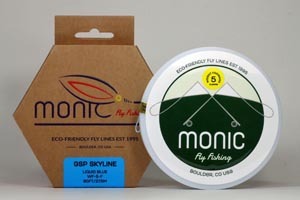 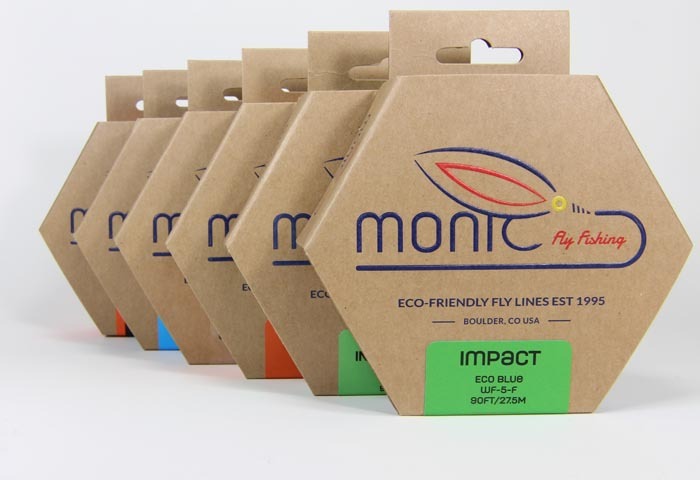 MADE IN BOULDER, COLORADO, Monic Fly Lines provide anglers with a PVC-FREE alternative to other fly lines. 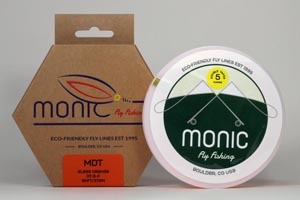 Longer, more accurate casts are easily achieved through our patented, eco-friendly coating technologies and time-tested, perfected tapers. 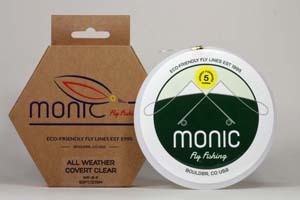 All lines are designed to go everywhere from Arctic to Tropical whether chasing cold-water steelhead and winter trout, or stalking a Grand Slam in the clear waters of the tropics. 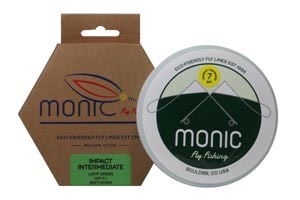 With Monic Fly Lines, you can be confident that our products will give you the best shot at the ultimate goal—to catch more fish! 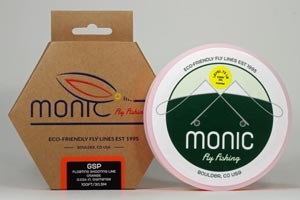 If you have questions about the products that we offer in our online store please feel free to drop us an email or give us a call (508)977-0700.